Brett “Bretton” I. Pollack is a member of the Florida Bar, the New York Bar, and the Dade County Bar Association. He is experienced in business litigation, commercial transactions, probate, contracts, fraud, employment, and many other areas of the law. 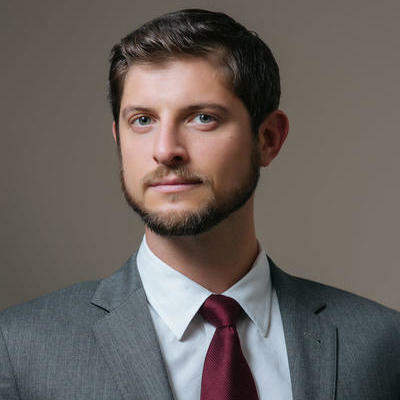 Brett Pollack is licensed to practice law in the state courts of Florida and New York, as well as in Federal Court in the United States District Court for the Southern District of Florida. Brett has litigated numerous cases in the County and Circuit Courts of Florida, as well as in Federal Court. Brett also has drafted briefs and presented oral arguments before the Third District Court of… read more Appeals of Florida. "We have been very fortunate in having Pollack, Pollack, & Kogan LLC as our counsel. Brett Pollack’s thorough knowledge of Federal and Florida law has helped my business tremendously. Even after normal business hours he has made himself readily accessible for questions and concerns. Previous dealings with other lawyers have left much to be desired. However, Brett’s professionalism and dedication to his clients is unparalleled. Over the years he has become an integral part of the way our business functions and a trusted member of our team. - Brandon Leidel"
"The law firm of Pollack, Pollack & Kogan’s professionalism and commitment to my case will never be forgotten. The highly effective representation I received from Gary Pollack & Bretton Pollack allowed for a successful outcome. The firm was also dedicated and committed to helping me through this difficult experience on a personal level. They had gone out of their way at every point to clearly communicate and keep me informed, in addition to persistently providing the insight needed to address the many challenges of representing me in Federal Court for the Southern District of Florida. I highly recommend the firm and I am confident that you will receive the same quality representation that I received. - Marcy Kravit"
Excellent Representation in Federal Litigation Business Dispute. I've been a partner at a law firm in Miami since 2012. My firm's website is: Miamibusinesslitigation.com I'm experienced in business litigation, commercial law, contracts, probate, and many other areas of the law.